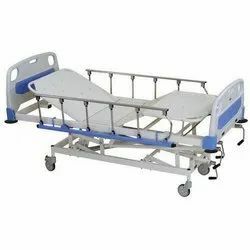 Our range of products include five function icu bed manual crank, icu bed 3 position, plain bed epc & foot bows, manual backrest bed epc head & foot bows and icu bed 3 positions. 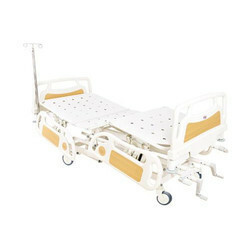 Backrest, Kneerest, Trendelenburg, Anit Trendelenburg & Height Adjustment Operated by cranks. 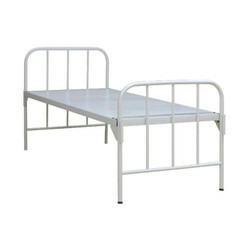 Detachable polymer mounded Head and foot bord. IV rod proviion at four locations. Pretreate and Epoxy powder coated. 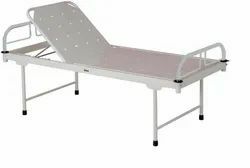 ICU Fixed Bed available as per user need. Load Capacity 250 kg approx. 60 x 30 mm CRCA tubular frame work. Size available as per user needs. Backrest, Kneerest and Height Adjustable operated by 3 separate. Four heavy duty swivel castors of 125 mm dia. 2 with brake. 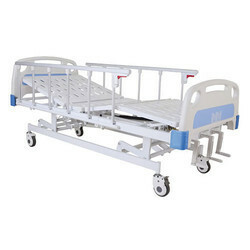 Looking for ICU Bed ?